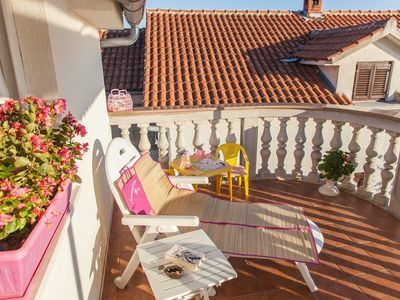 Apartments Villa Moretti are located in Srima, a quiet little place 2.5 km from the Town of Vodice with beautiful beaches and scenery. Apartments Villa Moretti offer six accommodation units. Each unit has free WiFi, Air Conditioning is also available for an additional charge. All guests can use BBQ Facilities. Free Private Parking is available on site. The nearest beach is only 40 meters from the property. Restaurant and Grocery Store can be found within 100 meters range. Bus Stop is 500 meters away. Airport Zadar is 70 km away. This location is perfect for guests who love to enjoy the sun and the sea, being close to the touristic center, but far enough to avoid the crowds and keep their peace and privacy.